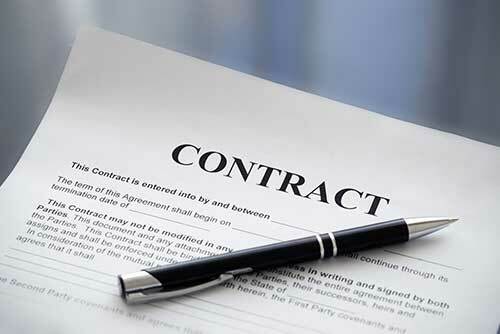 Contracts are a very important part of life for freelancers. They lay out the agreed upon project, how much the client is going to pay you, when they are going to pay you, and overall, help to solve any disputes, or stop them from arising in the first place. Many companies you might work with as a freelancer will have a standard contract for you to sign, in which case you should always read it carefully before signing. You should check whether any standard contract is fit for purpose when it comes to the particular project you are going to be working on. You might also have to write your own contract. While you can write your own contract for a freelance job, it is probably best to get the help of a solicitor or you risk your client being able to find loopholes if they want to get out of paying you. Bringing a contract to the table will make you look more professional, even if you eventually find out that the client has a standard contract for you to sign. One of the most important elements of a contract for any freelancer is that it sets out how and when you are going to get paid. How you get paid comes down to a couple of options. Many freelance projects will have a fixed scope, where you know exactly what needs to be done and what the completed job will look like. You will need to make a good calculation of the time it will take you to complete the job when deciding on how much to charge. If you aren’t entirely sure of the scope of the project at the beginning, and it’s something that will only become clear as you start working on it, it might be a better idea to charge on a ‘time and material’ basis, where you get paid for the cost of materials on top of getting paid for the time you work, or perhaps even get paid on particular milestones that have been agreed with the client beforehand. You could, of course, choose to do a mixture of both, where you get paid for the time you work as well as getting paid on agreed upon project milestones. Most freelancers remember to include things like terms and conditions, especially when it comes to pay, but they often forget to include what the project actually entails. This is needed so that a client can’t change the scope of the project halfway through without the pay reflecting it. Your freelance contract might have to incorporate terms for Intellectual Property Rights, especially if you are using your own processes, designs, software, etc. Some clients might expect exclusive use of these, in which case you wouldn’t be allowed to use them with other clients afterwards. Freelancers, unlike limited companies, are not separate from their business, which means that if anything goes wrong, the freelancer will be personally liable to either make it right or risk getting sued for things like causing injuries, or causing your client’s business harm, such as losing them a customer. Your contract should make it clear that you will not be held liable for anything that happens which is out of your control. You can include in your freelance contract terms on how much notice a client has to give you if they want to terminate the contract. This will give you longer to find a new client to fill the gap. If you’ve been working for a client for a while, and receiving pay from them, but never signed a piece of paper, you might think that you don’t have a contract with them. However, contracts can be oral, or over email, and still be legally binding. Emails can show that both parties agreed to terms, and working over a period of time can do the same. However, these situations can be hard to prove in court, so signing a contract, whether it be written by you or your client, is the safest option, giving you better protection.